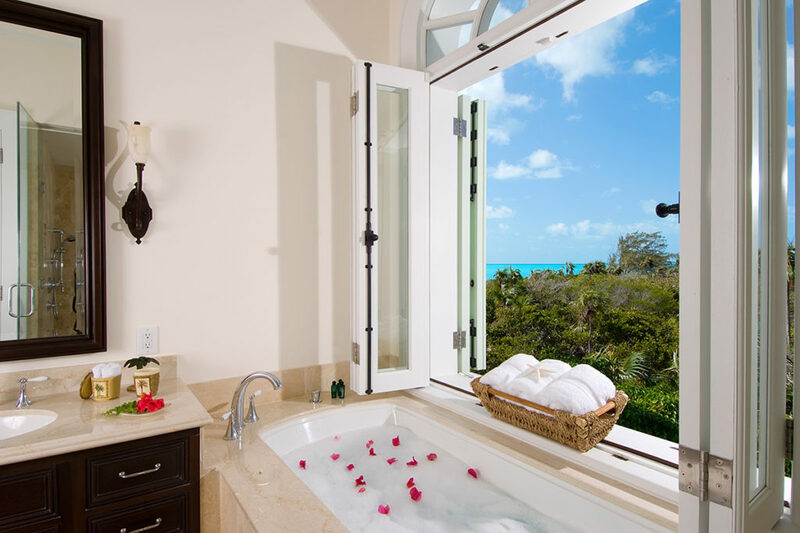 Villa Shambhala is situated on a quiet stretch of Long Bay Beach frontage. 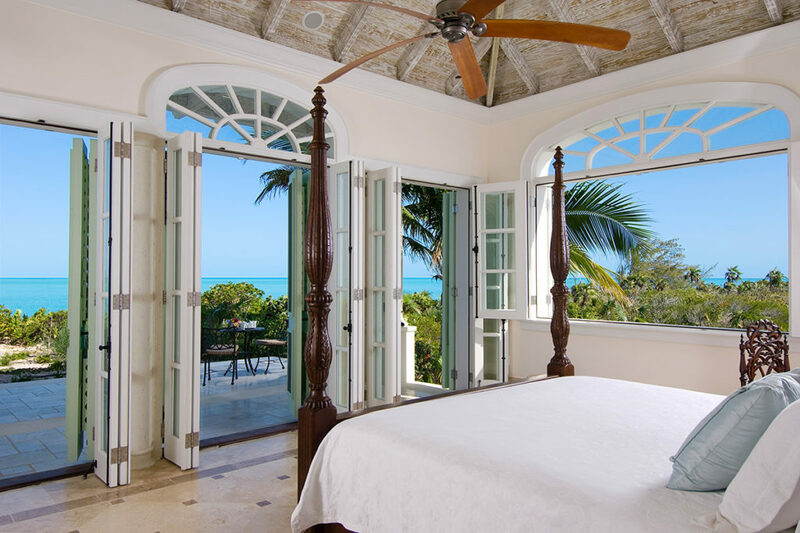 The five-bedroom villa presents floor to ceiling French doors that opens up to a covered veranda and stunning views of the beautiful white sandy beach and turquoise waters. Gracious outdoor living areas let you make the most of the location, while well-proportioned rooms and suite-style bedrooms offer plenty of space and private accommodations. 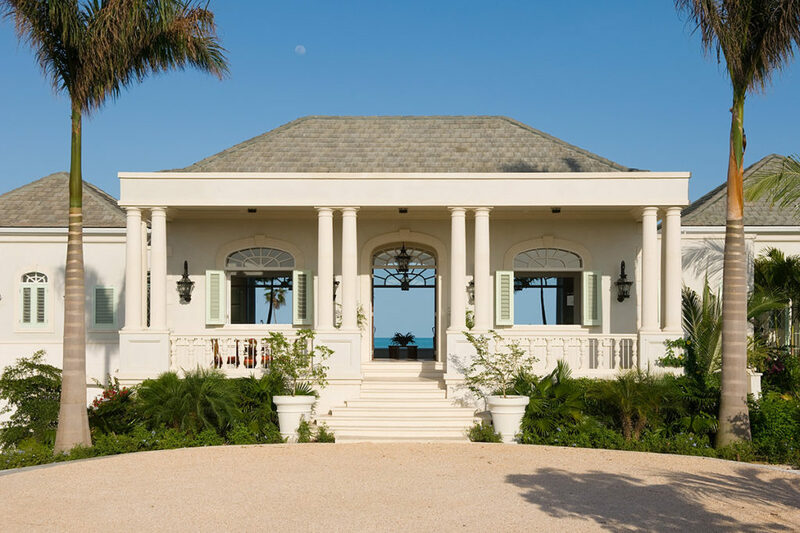 The back of the villa opens to a covered veranda with an outdoor dining area featuring a grill and bar fridge and a comfortable seating area. 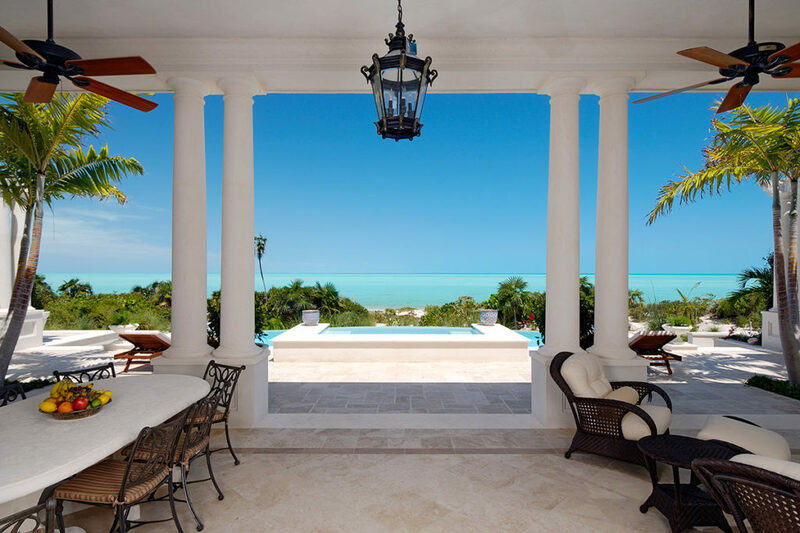 Just beyond, a sunny terrace dotted with lounge chairs surrounds an infinity pool and hot tub. 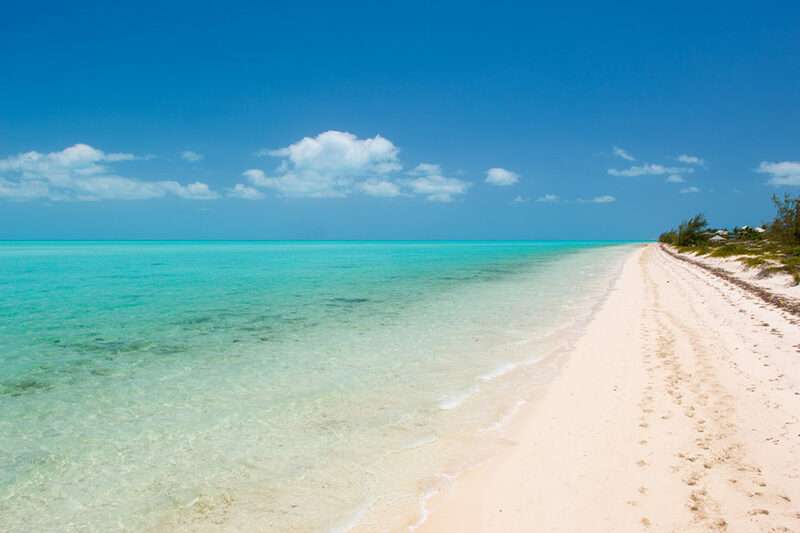 Stroll down the path to the beach, where you’ll have one double and two single kayaks at your disposal. After the sun goes down, gather in the media room around the flat-screen TV and selection of Wii games, plug in to the iPod docks and surround-sound system or chat on the Vonage phones. 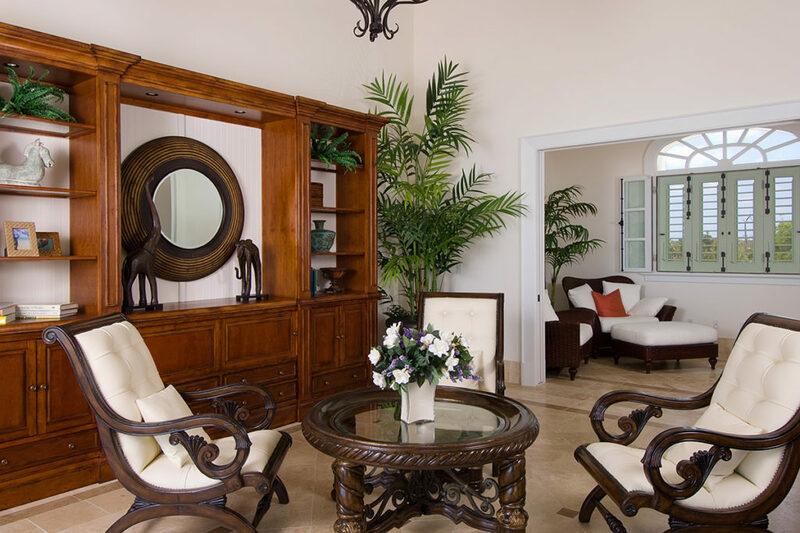 Inspired by traditional Barbadian homes, Villa Shambhala is furnished in a classic combination of dark wood and white upholstery. French doors to the veranda, cream-colored walls and a high ceiling make the open-plan living and dining room feel airy and bright, while turned-leg tables and wrought-iron chandeliers anchor the scheme. In the media room, the dark wood is paired with striped and floral sofas for a more youthful feel. 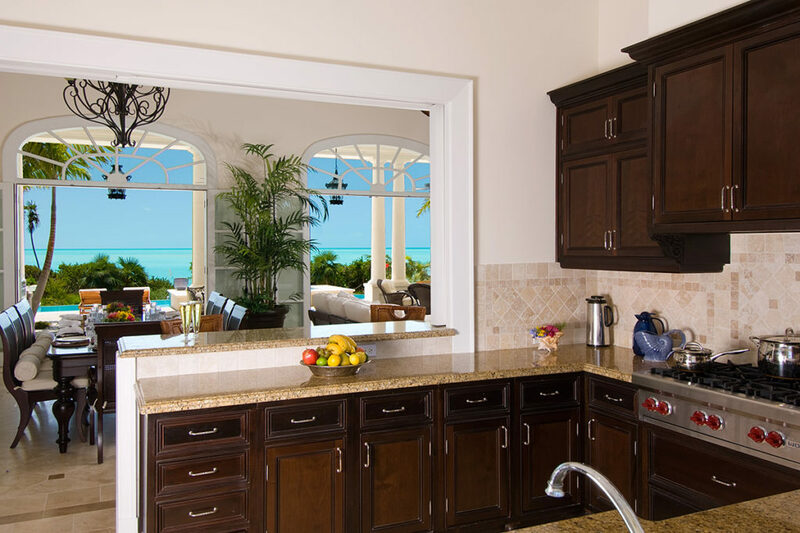 Just off the dining room lies the breakfast bar and kitchen, which has state-of-the-art appliances. 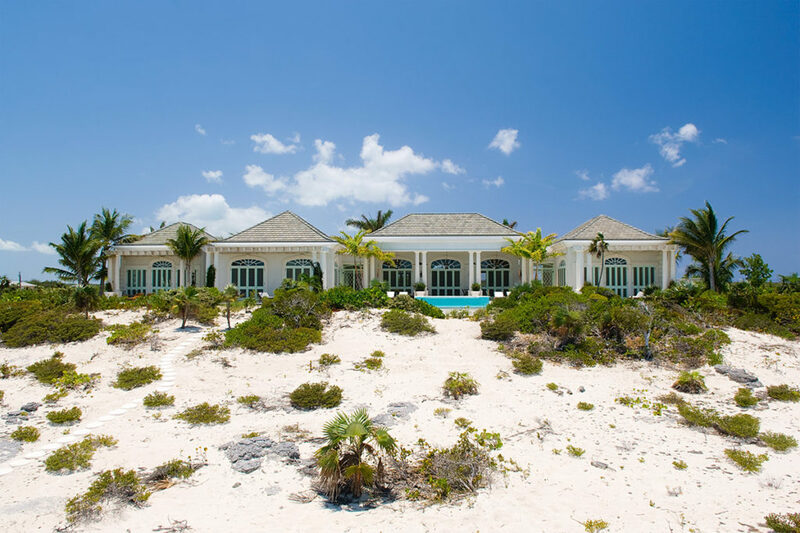 Though Villa Shambhala is on a quieter stretch of beach, it’s not far to the island’s dining and shopping. 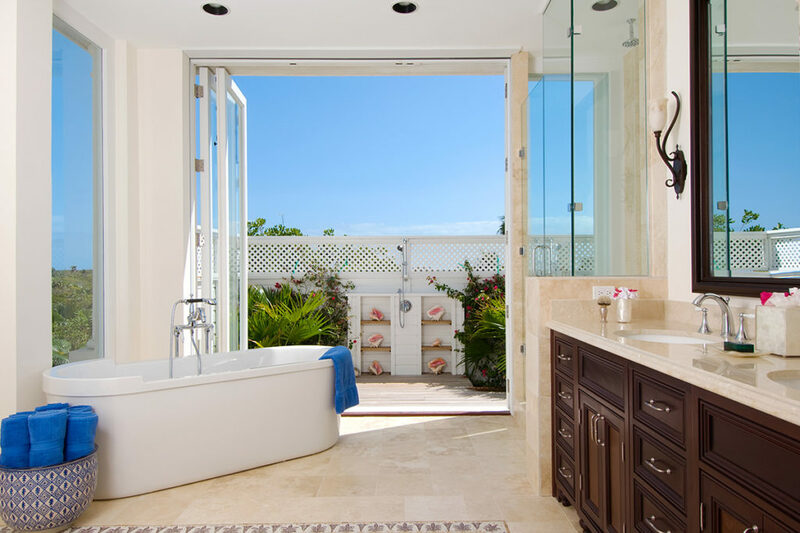 A 10-minute drive brings you to exercise facilities, the Grace Bay Medical Center and the Provo Golf Course and grocery store are all a 12-minute drive away. The downtown area is 15 minutes away by car and the airport is a 20-minute drive.